"I could not find a sound that allowed me to play several genres without having to change instruments for each one, with the Bartolini BH2 pickups I finally had a more classic sound, with warmth in the mids and low-end depth. 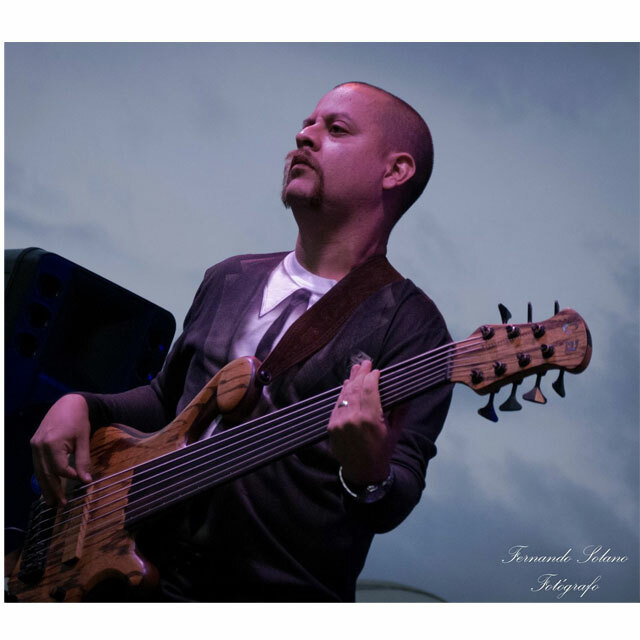 It is a perfect complement to have a good sound with a fretless"
Jefe is an Ecuadorian musician and composer. He has been playing in the bars and theaters of his native city, Guayaquil, since he was ten. Today he is well known both nationally and internationally for his skills on the instrument and for his melodic improvisations that incorporate his unique musical style and vision. He often fuses electronic music with some rock and blues laden with percussion and Latin explosion. He is the winner of a national contest of Ecuadorian composers and is considered one of the best bassists in the country. Whether working on his independent music projects or performing and recording in Rock, Blue, Jazz, Salsa or Ecuadorian Rhythms like Pasillo or Albazo - he knows he can count on his instrument and his barts to give him the sound he needs.